The Speedy Pull Thru is a braiding tool that saves our time and makes the job easier. It is designed to never leave our finger as we are tying the mane down. 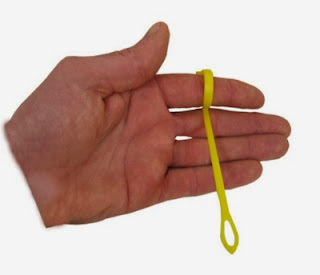 We can buy only one or a pack of three and it comes in bright colors so it is harder to loose. I liked the concept, what about you?